Our law firm handles birth injury cases all over the country. We recently picked up a case in Minnesota. The first thing we need to do when going to a new jurisdiction is research the law and talk to local counsel. I thought it would be a good idea to publish our research. If someone else had done put their results online, it would have made our job a lot easier. What Is the Statue of Limitations for Minnesota Medical Malpractice Claims? In Minnesota, the date that a “cause of action accrues” (which begins the 4 year time period) is based on when the actionable injury occurs. Minnesota has explicitly rejected the well-known “discovery rule” followed in most jurisdictions. Molloy v. Meier, 660 N.W.2d 444, 454 (Minn. Ct. App. 2003), aff’d, 679 N.W.2d 711 (Minn. 2004). To balance out some of the harsh results of a limitations period without the discovery rule, the courts in Minnesota have developed several tolling doctrines for medical malpractice claims. These tolling doctrines extend the date for when the limitations period begins. The “termination of treatment” rule is the tolling doctrine used to establish the accrual date for most malpractice claims in Minnesota. Under this rule, the 4-year limitations period does not begin until the doctor’s treatment for a particular condition concludes. See Broek v. Park Nicollet Health Servs., 660 N.W.2d 439, 442 (Minn. 2003). The doctor’s treatment terminates when he is no longer seeing the patient and there is nothing more to be done. The termination of treatment doctrine is not applicable in cases where the alleged malpractice involves a “single act” such as a surgical error. See, e.g., Murray v. Fox, 220 N.W.2d 356 (Minn. 1974) (applying “single act” exception to claim based on negligent surgical procedure). The “termination of treatment” rule does not apply to medical malpractice claims based on misdiagnosis. A malpractice claim for failure to diagnose accrues when the plaintiff suffers some form of “compensable damage” as a result of the misdiagnosis. MacRae v. Group Health Plan, Inc., 753 N.W.2d 711 (Minn. 2008)(rejecting the argument by the doctor that cause of action should accrue when alleged misdiagnosis occurred since compensable injury not suffered until years later). What is the Statute of Limitations for Claims by Minors? When the person injured by medical malpractice is a minor (under the age of 18), the 4-year limitation period is suspended. The infancy exception suspends the statute of limitations period for a maximum of 7 years or until the minor turns 19 – whichever is sooner. Minn. Stat. § 541.15(b). The 7-year infancy suspension plus the 4 year limitations period for malpractice actions gives minors a total of 11 years to bring malpractice claims. Similar suspensions of the limitations period can apply to persons with mental disabilities. Does Minnesota Have a Statue of Repose for Medical Malpractice Claims? No. There is no statute of repose applicable to medical malpractice claims in Minnesota. The statute of limitations is the only time bar. Is there a Separate Limitations Period for Claims Against State Hospitals/Facilities? No. Malpractice claims against State hospitals are subject to special rules under the Minnesota State Tort Claims Act (Minn. Stat. § 3.736). However, claims against State hospitals or facilities are still subject to the general 4-year statute of limitations period. Minn. State §3.736 subd. 11. Are there Special Rules or Suing a State Hospital or Agency? Yes. The Minnesota State Tort Claims Act gives State hospitals limited immunity from medical malpractice claims. Specifically, the statute provides that State hospitals and facilities will not be liable for: a loss based on the usual care and treatment, or lack of care and treatment, of a person at a state hospital or state corrections facility where reasonable use of available appropriations has been made to provide care[.] Minn. Stat. § 3-736 subd. 3(l). The Minnesota Court of Appeals has held that this provision is aimed specifically at medical malpractice claims. Diedrich v. State 393 N.W.2d 677, 683 (Minn. App. 1986) (noting that “usual care and treatment” language is directed at malpractice claims). In order to assert immunity under this statute, however, the State hospital must show that it made “reasonable use” of available funds in providing the plaintiff with care. Is Joint & Several Liability for Multiple Defendants? The concept of joint & several liability deals with who is responsible for actually paying damages awarded to a plaintiff when there are multiple defendants in a case. Minnesota has adopted a modified version of joint and several liability. Under the Minnesota defendants are assessed fault percentage based on how much their actions contributed to the injuries in the case. Defendants who are found to be 51% at fault or greater have joint and several liability for the entire damage award. This means that the plaintiff can go after them for the entire amount of damages awarded. Defendants with less than 51% of the fault can only be severally liable which means that pay damages based on their percentage of fault. Minn. Stat. § 604.02. For example, let’s say a plaintiff sues 3 defendants who we will refer to as A, B and C. The jury awards the plaintiff $100,000 and finds Defendant A was 60% at fault; Defendant B was 30% at fault; and Defendant C was only 10% at fault. The plaintiff can collection $60,000 from Defendant A — $30,000 from Defendant B — and only $10,000 from Defendant C. However, Defendant A has joint liability because he was 60% at fault which means that the plaintiff can choose to enforce the entire $100,000 award against Defendant A only. Are there any Special Requirements for Filing Medical Malpractice Lawsuits? In many states, medical malpractice claims are required to go through a preliminary arbitration process before a lawsuit can be filed in court. Minnesota does not have any such mandatory pre-filing arbitration procedure for medical malpractice cases. 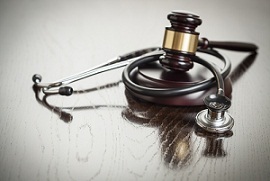 A suit for medical malpractice can be filed directly with the courts. In Minnesota, all lawsuits alleging medical malpractice must be supported by a “Certification of Expert Review” which gets filed with the initial complaint. Minn. Stat. § 145.682. The certificate of expert review confirms that the facts of plaintiff’s case were reviewed by a “qualified expert” and that expert agreed that the malpractice claims have merit. This essentially means that before filing a malpractice case the plaintiff must get an independent doctor to agree that the defendant doctors screwed up. The Certificate of Expert Review must be attached to the initial complaint and served on the defendants otherwise the case can be immediately dismissed. This rule is intended to prevent the filing of frivolous malpractice lawsuits. The statute requires that within 180 days after commencement of the suit, the plaintiff must serve upon the defendant an affidavit setting forth the identity of each person whom the plaintiff expects to call as an expert witness at trial to testify with respect to the issues of malpractice or causation, the substance of the facts and opinions to which the expert is expected to testify, and a summary of the grounds for each opinion. The expert affidavit must (1) disclose specific details concerning the expert’s expected testimony, including the applicable standard of care, (2) identify the acts or omissions that the plaintiff alleges violated the standard of care, and (3) include an outline of the chain of causation between the violation of the standard of care and the plaintiff’s damages. Are there Special Requirements for Qualification of Expert Witnesses? When a plaintiff is partly at fault for their injuries, Minnesota applies the traditional rule of comparative fault. Under the comparative fault rule, a plaintiff who is partially responsible is not completely barred from recovering damages. Instead, the amount of total damages awarded to the plaintiff will get reduced based on their percentage of fault. Minn. Stat. §604.01. For example, suppose a plaintiff sues a defendant for malpractice. The jury finds that the plaintiff was 40% at fault and the defendant hospital was 60% at fault and awards the plaintiff $100,000 in damages. The damages will get reduced by 40% based on the plaintiff’s share of fault so the plaintiff will only get $60,000. Are there Caps on Malpractice Damages in Minnesota? Are there Limits on Attorney’s Fees in Minnesota Malpractice Cases? Minnesota law does not limit the amount of attorney’s fees that can be collected in a medical malpractice case.